One of New Zealand's most picturesque locations, Lake Wanaka, is home to the Dripping Bowl. As the name may, or may not suggest, is home to a niche menu focused around gourmet soups, smoothies, kombucha and breakfast bowls. 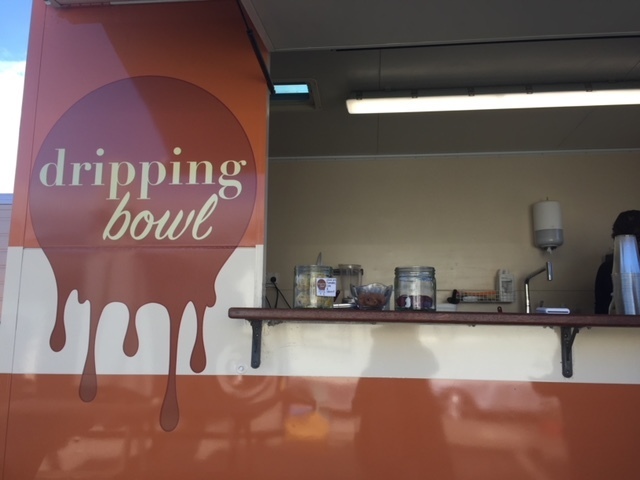 Working out of a compact food truck, Dripping Bowl has been in business for some time and has definitely grown its local and trans-seasonal clientele. This funky set up with wooden seating and your occasional band (yes a musical band comes and plays occasionally I have heard) definitely gives other places a run for their money. Utilising a mixture of organic, vegan, gluten-free and antioxidant-rich produce, Dripping Bowl really creates a humble offering, even for the most discerning customer. 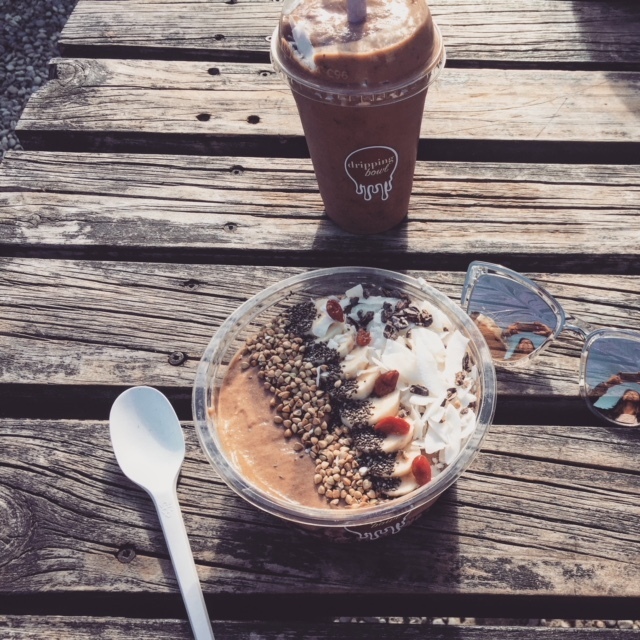 Gracing the menu on my arrival this beautiful summers day was the chocolate peanut butter acai bowl. My partner and I decided to go for a take away option, and we were not disappointed. The same care and attention to detail is given to those dining in with their smoothies being served in a coconut shell, that is given to those being served in an environmentally-friendly take away container. The soups available are perfect in the chilly Southern winters where the temperature drops to single and negative digits. These appear to vary weekly but popular options have been creamy mushroom, pumpkin, and pea and broccoli and the notorious bone broth. the Dripping Bowl use no stocks, thickeners or preservatives, therefore, ensuring that all ingredients are authentic, the pumpkin soup is made from real pumpkins and same with all the homemade soup selections. Dripping Bowl is parked up all year round, rain, hail shine. Next time you are down in Wanaka give the Dripping Bowl a visit.